Pain is the most common, frustrating, and problematic of the meniscus tear symptoms. Its the one that you notice first, that lasts the longest, and is of the utmost concern. Pain in and of itself is a very complicated thing. One thing that isn't complicated is the fact that it stops you in your tracks, effects your life significantly, and can be very debilitating. The human body is extremely complicated. And extremely amazing. The nervous system is especially unique, and somewhat hard to understand. I like to think of the nervous system as a system of highways running throughout the body. 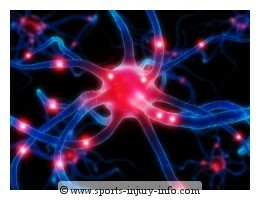 They take information from the muscles to the brain, from the brain to the ligaments, and throughout the body. They connect everything, and are the communication system. Without the nerves, nothing works. Pain Signals: Where Do They Come From? At the ends of the nerves, there are tiny (and I mean really tiny) receptors. They are designed to recieve different types of signals. Pressure, pain, heat, etc. Pain receptors, or nociceptors as they are called are where pain signals come from. 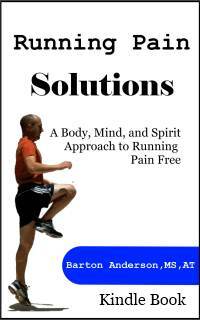 Pain is caused by many things, but no matter what the causes are, they irritate or stimulate the pain receptors. These signals are transmitted along pain pathways to the central nervous system, where your brain interprets the signal, and you comprehend the pain that you are feeling. All of this occurs in split seconds...instantly even. To keep a long story short, you just need to remember that lots of different things can cause stimulation of the pain receptors. This is what contributes to pain with any type of injury. The damage to the meniscus doesn't actually cause pain. This is because the meniscus does not have a nerve supply. However, the tissues around the meniscus, which are often irritated or injured as well, do have innervation and can cause pain. The injury causes bleeding, and the bleeding causes swelling. Swelling causes pressure on all of the joint structures, and that pressure causes pain. Meniscus tear symptoms of pain and swelling result in a protective mechanism within the muscles. 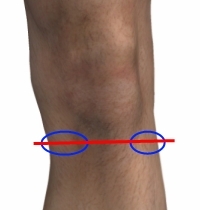 This muscular spasm is an involuntary contraction of the muscles to try to protect the knee. The spasm ends up causing pain. The pain receptors within the muscles become stimulated because of the continuous contraction. This begins the pain / spasm cycle, where pain causes spasm, spasm causes pain, and it feeds on itself. The loss of range of motion can also contribute to pain. Because you cannot move your knee normally, you cannot stretch your muscles, and you cannot move the joint as you usually do. This can cause the aching, sometimes throbbing pain associated with meniscus tears. Imagine sitting in the same position for several hours, without being able to readjust, or shift your weight around. It would get very uncomfortable. That is what the knee is going through after a meniscus tear. You cannot move it enough to readjust, and so it begins to ache, causing pain. Initially, meniscus tear symptoms produce pain throughout the knee. The entire thing hurts. You can't pinpoint it because everything inside is so irritated from the swelling. As you get farther away from the initial injury, and swelling subsides, the pain will begin to localize to the medial or lateral joint lines. Pain is the most common and obvious of all meniscus tear symptoms. All of the other symptoms cause the pain that you feel. The good news is that as your swelling and range of motion get better, the pain begins to subside.